An embedded system is a device with a computer inside that doesn't look like a computer. Washing machines, televisions, printers, cars, aircraft, and robots are all controlled by a computer of some sort, and in some cases, more than one. As these devices become more complex, and as our expectations of the things that we can do with them expand, the need for a powerful operating system to control them grows. 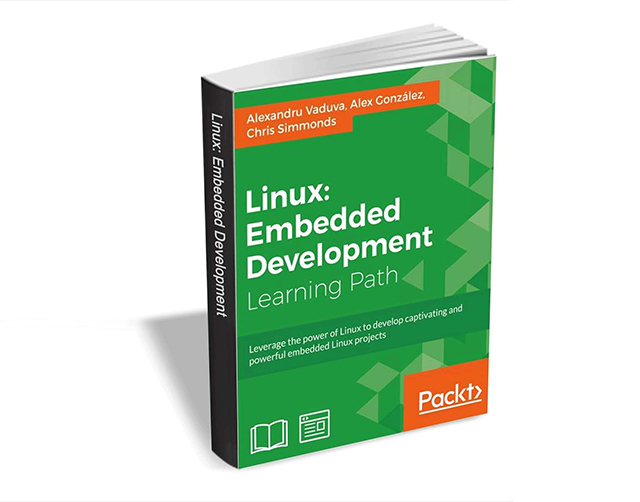 The Linux: Embedded Development ebook from Packt Publishing will tell you everything you need to know to leverage the power of Linux to develop captivating and powerful embedded Linux projects. It usually retails for $63 but for a limited time you can get it entirely free. To get the book, go here, enter the required details, and click the Download button. The offer expires on April 26, so act fast.